Deep in the beautiful Wiltshire countryside and just outside the historic town of Highworth is the exceptional Wrag Barn Golf & Country Club. With outstanding views of the Downs and the Vale of White Horse, Wrag Barn boasts one of the region’s outstanding venues for golf, weddings, business meetings and casual dining. Once part of the Lord Banbury’s Estate, Wrag Barn now offers the area’s premier golfing landmark. After testing their skill against the inspiring course, players will relax in the mellow and welcoming Clubhouse. A variety of drinks and a carefully planned range of lunchtime and evening menus are available for players and guests alike. Recognised for its friendly hospitality throughout, Wrag Barn looks forward to extending a warm welcome and being the perfect partner for golf and so much more. The Simon Gidman designed Golf Course, a challenging par 72 6,622 yards – is a perfect example of effective course planning which balances the natural contours of 205 acres of delightful Wiltshire countryside with features to excite and test players of all skills and ambitions. Developing and maturing as years go by, Wrag Barn is of course ever improving and definately worth a visit! SHRIVENHAM ROAD | HIGHWORTH | SWINDON | WILTSHIRE | SN6 7QQ. Available 7 days a week, email or phone for details. 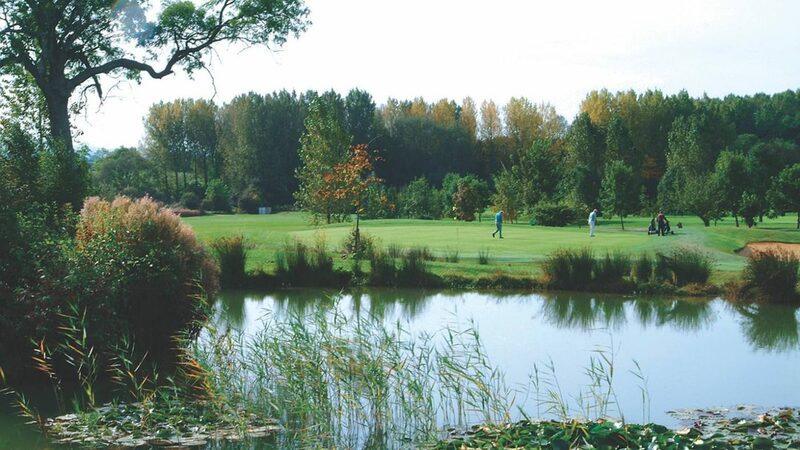 Every Tuesday we have 2 for 1 on green fees, please phone for details. Phone club for accommodation recommendations.